Free Agency marks the beginning of a new league year and is often characterized by over-spending, buyer’s remorse and ultimately salary cap purgatory. Hopefully your favorite team gets it right and adds the missing link via free agency rather than trying to build their team through the annual NFL Off-season Sweepstakes. Synopsis: The Patriots’ cap situation isn’t ideal but they will have roughly $20 million available if they decline Darelle Revis’ Team Option which carries a $25 million cap-figure. 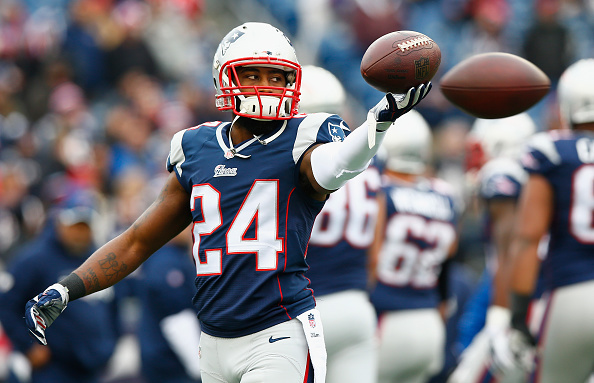 Of course the Patriots want to retain Revis’ services but he won’t come cheap. Historically, the Patriots aren’t big spenders in free agency, instead signing in-expensive veterans, pilfering practice squad talent and making shrewd trades. As always, their focus will be on keeping their existing talent. Revis and Devin McCourty top the list and could create huge voids in what was a much improved secondary. However, pass catching specialist Shane Vereen and guard Dan Connolly were important pieces in an offense that really came together as the season progressed. Synopsis: The Bills’ cap space will take a significant hit when the LeSean McCoy trade is finalized but they upgrade the position that will be the focal point of their offense. The overwhelming need is at the quarterback position. The recent acquisition of Matt Cassel is nothing more than a Band-Aid, but there aren’t any other viable options in the upcoming free agent class. 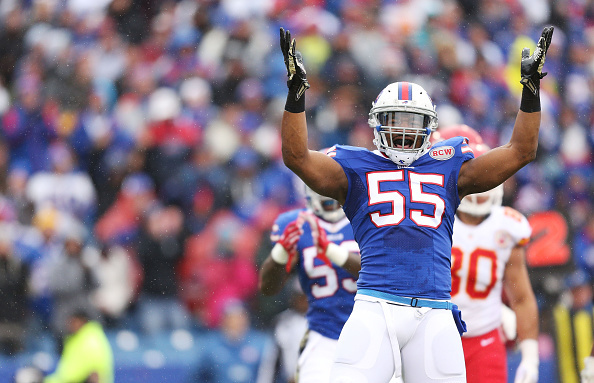 The decision not to franchise tag Jerry Hughes makes sense from a monetary standpoint. However, you run the risk of losing substantial pass rush productivity. No Kiko Alonso and Brandon Spikes is set to become a free agent so that creates a need at inside linebacker. Now that David Harris has re-signed with the Jets don’t be surprised if the Bills make a play to re-sign Spikes. Spikes is a run-stopper with pass rushing chops that could be a good fit for Rex Ryan’s blitz-happy scheme. The Bills may look to the draft to bolster their secondary with players that excel in man-to-man coverage. This free agent class lacks depth at defensive back which will surely lead to gross overpayments to otherwise average or above-average DBs. That being said, Antonio Cromartie figures to play for one of his former coaches (Rex Ryan, Todd Bowles). Cromartie would be a welcomed addition if the price is right. Tramon Williams may be a cap friendly option as well. 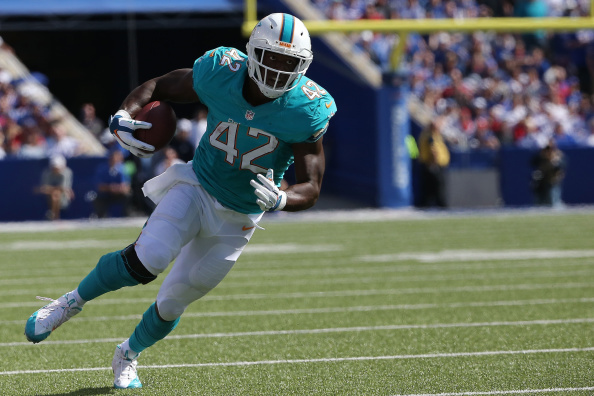 Synopsis: Frankly, the Miami Dolphins have had a mixed bag of results in free agency in recent memory. Brent Grimes was a winner but Cortland Finnegan not so much. They have since cut Finnegan as well as Brian Hartline, Brandon Gibson and designated Phillip Wheeler a post June 1 cut in an effort to create cap space so that they can sign free agent prize Ndamukong Suh. Danelle Ellerbe may be on his way out as well. Suh certainly would be an upgrade to Odrick but signing the controversial and uber-talented defensive tackle would make it difficult for the team to improve their secondary, offensive line and receiving corps via free agency. Reports suggest that the Dolphins’ front office is trying to move on from wide receiver Mike Wallace, his $12 million cap number and lack of production (due in large part to inconsistent quarterback play). If the Dolphins due indeed land Suh, they will likely turn to the draft to fill needs along the offensive line, secondary and at wide out. Lamar Miller appears to be locked-in as the starting running back after an impressive 2014 season but a bigger, complimentary back could be had at a reasonable price, such as, Stevan Ridley coming off injury or even a Frank Gore in what would be a Miami homecoming. 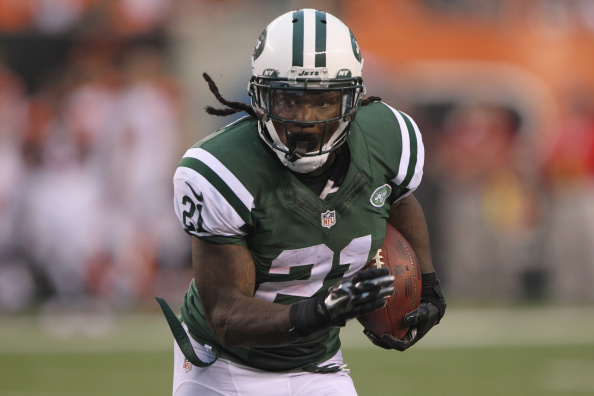 Synopsis: The Jets have to address the secondary first and foremost. They are expected to make a run at Darelle Revis if the Patriots don’t lock him up, but Byron Maxwell, Devin McCourty Kareem Jackson, Chris Culliver and Antonio Cromartie should be on their radars as well. I expect the Jets to address the secondary in the draft too, perhaps as early as the 6th overall pick where top cornerback Trae Waynes of Michigan State should be available. If the Jets plan on drafting Marcus Mariota or decide to grab one of the top pass rushers in the 2015 draft class they must land at least two of the aforementioned defensive backs when free agency opens on March 10th. The acquisition of Brandon Marshall via trade gives the Jets a true #1 receiver but they need to continue to add talent to the offense. A speedy option at running back that can threaten defenses in the passing game like Shane Vereen would be a good fit considering that Chris Johnson was given his walking papers. Additionally, a vertical threat a tight end such as Julius Thomas could be a real difference-maker down the seam and in the red-zone.